Around 10 a.m. a burst of snow produced some minor slushy accumulation in the town of Norfolk, CT. 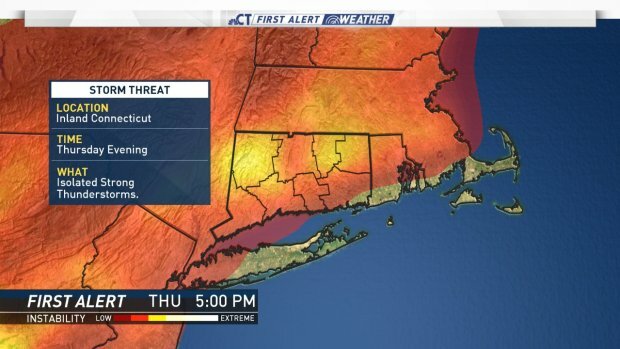 The town's nickname "Ice Box of Connecticut" lived up to the billing today! Of course, around 1300 feet above sea level snow this time of year isn't terribly unusual. Snow fell in May in the town of Norfolk last year, in 2016, 2010, and 2005. The snowy end to April is fitting. This April will likely be the coldest since 1956 in the Hartford area which shows just how remarkably chilly the month was. Not only was it cold it was also wet with 7.76" of rain in Prospect and 6.58" here in the station. Even though April ended as a dud May is going to begin as a scorcher. 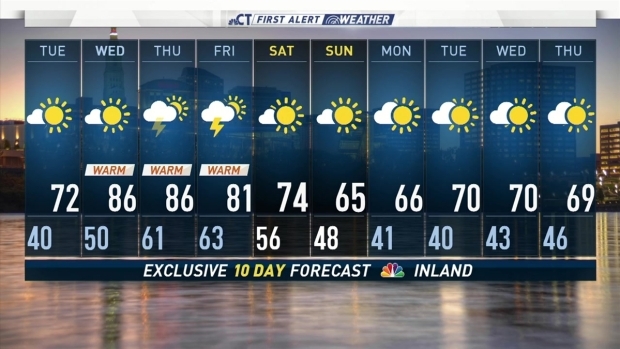 I'm forecasting 86 degrees for Wednesday and Thursday which is WAY above average. The warmer temperatures will be accompanied by some humidity and I wouldn't be surprised if some people flipped on the a/c by Thursday afternoon! One thing we will have to watch is the potential for a strong thunderstorm Thursday evening. Warm air, increasing levels of humidity, and increasing wind shear are ingredients that could support severe storms. Severe weather is unusual in early May but it's not unheard of. We'll be watching it as we get closer.